Apart from enjoying the fine white sands and crystal clear waters of Boracay, the island is also the best place to fulfill your gastronomic adventures. There are countless restaurants in the island serving various dishes such as Filipino, American, Mexican, French, Chinese and many more. 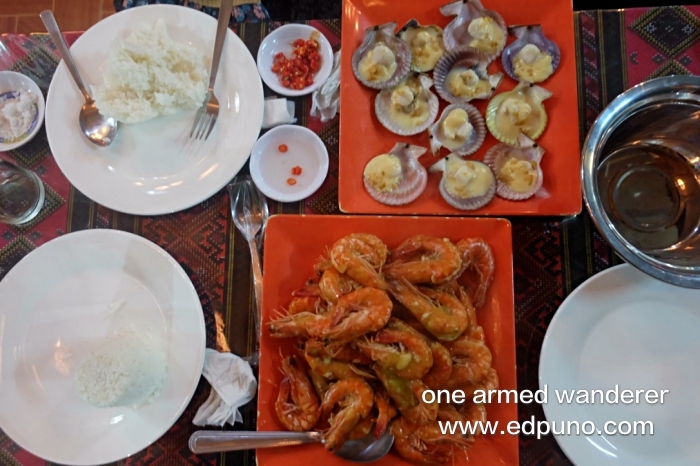 If you love seafood, skip these restaurants as there is only one place to enjoy one of a kind seafood dining experience in the island – D’ Talipapa in Station 2 Boracay. D’ Talipapa is a popular food destination among tourists visiting Boracay island. Located in the busy and crowded Station 2 of Boracay, D’ Talipapa has established its name as the ultimate food destination for seafood lovers. Just like the Seaside Dampa Macapagal in Manila, diners at D’ Talipapa get to enjoy a unique seafood dining experience. What makes the D’ Talipapa dining experience unique? Talipapa is a Filipino word which means a small wet market. Unlike in a typical Boracay restaurant, at D’ Talipapa, you get to choose and shop from various fresh seafood in wet market. The market offers fresh seafood such as shrimps, lobsters, crabs, oysters, squids, sea urchins, fishes and different types of shell fishes such as mussels, scallops and many more! Tip: Use you hanging skills in the wet market. Jen and I strolled around the market to check-out the prices of fresh seafood. A kilo of medium-sized shrimps is sold from 550 Php ($11) to 600 Php ($12) . We bought a kilo of shrimps at only 500 Php ($10). Scallops is sold at 400 per kilo. We bought ours a half kilo for only 150 Php ($3). After shopping, you will have to bring your fresh seafood to a paluto restaurant within the area. Paluto is a Filipino word which means to have the food cooked for you. Just like Seaside Dampa in Manila, you shop for seafood in the wet market and choose a restaurant. Ask the retaurant to cook the seafood for a cooking service charge. After shopping for seafood, we immediately headed to Etniko Resto Bar. This eye-catching restaurant is literally few steps away from the wet market. 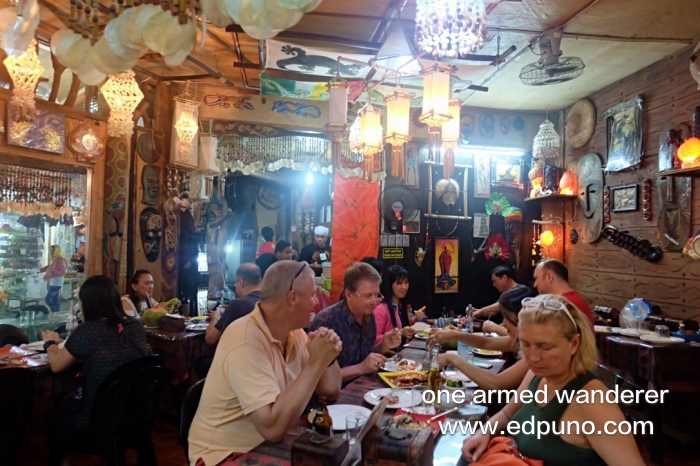 Etniko Resto bar has this ethnic theme which makes it stand out from other paluto restaurants. I should say that the food tastes good. I personally loved the baked scallops. The food reminds me of our seafood adventures in Islas de Gigantes in Iloilo and of course Roxas City in Capiz. Related: Where to eat in Roxas City, seafood capital of the Philippines. How to get to D’ Talipapa? This seafood haven is located in Station 2. If you are coming to any part of the main road, ride a tricycle. Fare if you are coming from Stations 1 or 2 is only 10 Php each ($0.20). Alternatively, if you are coming from any part of the white beach, just walk to Station 3 and ask some locals where D’ Market is. D’ Talipapa is just within the area of D’ Market. If you want a unique and one of a kind cultural dining experience, visit D’ Talipapa in Station 3 Boracay. 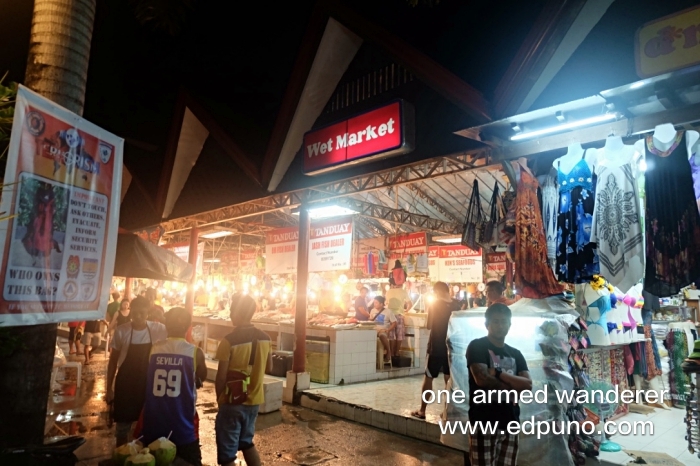 You get to experience shopping in an authentic Filipino wet market and have it cooked at a nearby Filipino-owned restaurant. Would I recommend this Boracay food place? Definitely yes! 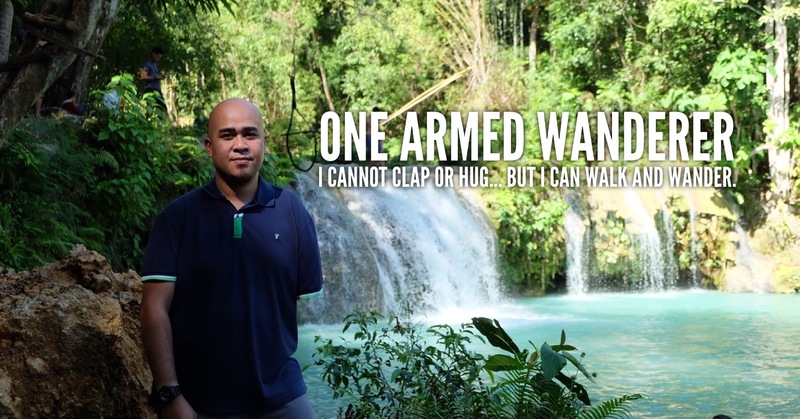 Visiting Boracay? Book you discounted Boracay hotel HERE.